It’s always a Good Friday when we receive fine photographs of great bikes in the Pipeburn inbox. 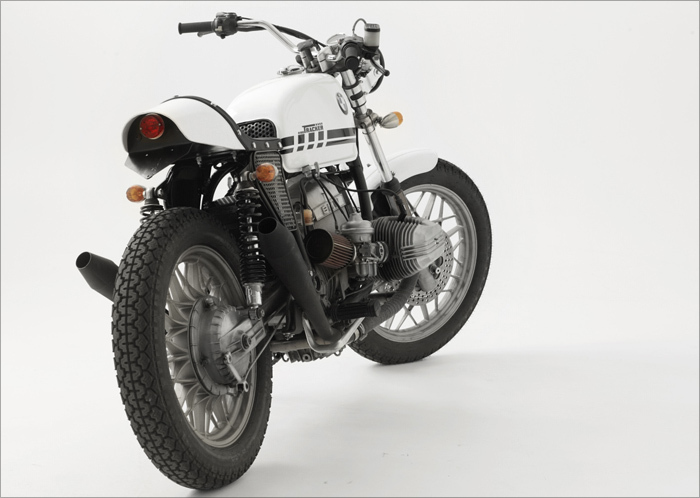 Like this recently completed beemer flat-tracker from our friend Karles over at Fuel Bespoke Motorcycles in Spain. Karles is also the man behind Scram Africa and has a serious passion for classic flat trackers and scramblers. 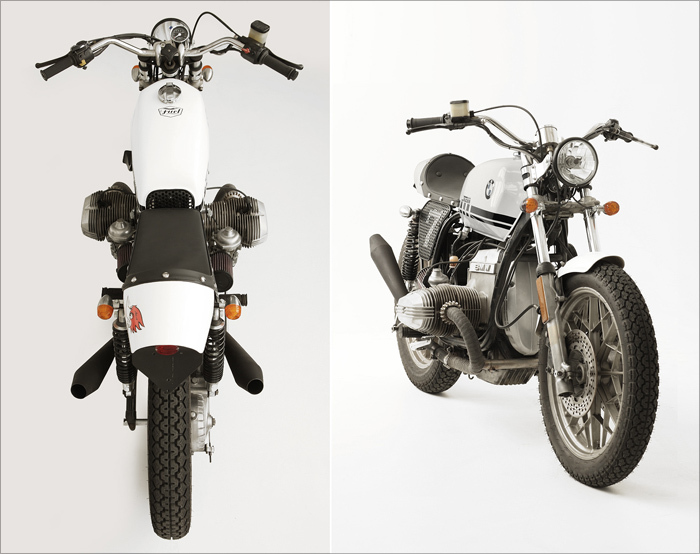 It’s been almost a year since we posted Karles first bike, another BMW R100 tracker which was also a tribute to the flat trackers of old. After several months of hard work Karles is extremely happy with his latest project. 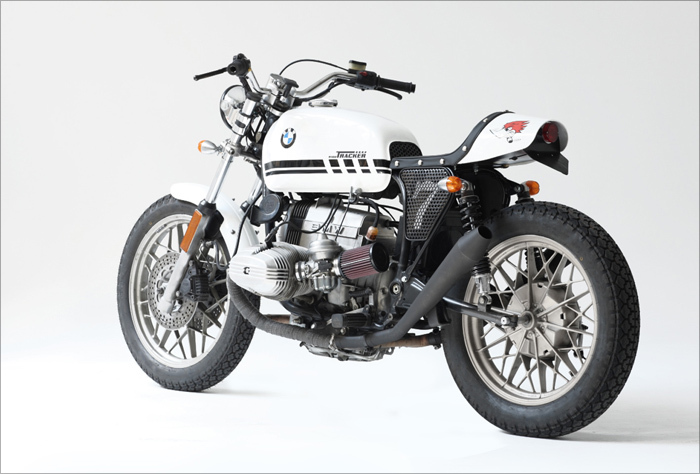 “It has been a great challenge to complete the bike and a way to improve and continue learning in this addictive world of customization” he says. I have a soft spot for airheads and flat trackers, so for me this is the perfect combination. 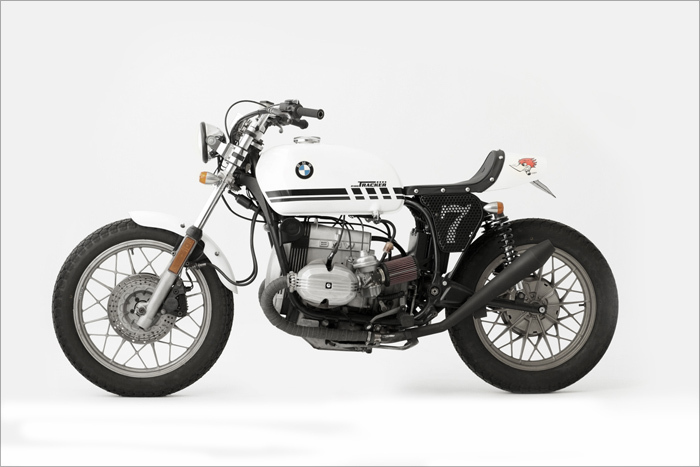 Karles found an old 1981 BMW R100 RS as the donor bike and taking flat track motorcycles as his inspiration: “light, thin and powerful motorcycles with wide handlebars and big air filters” he says. 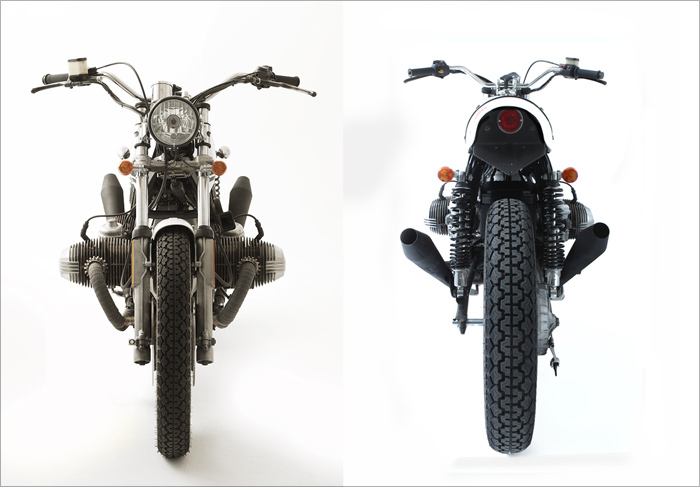 He changed the entire rear end of the motorcycle and co-designed with Vonzeti Cafe Racers Seats a new seat and tail section. He also substituted the subframe for a shorter one to fit the seat and “shorten” the bike. He replaced the rear indicators with classic silver bullet style ones. 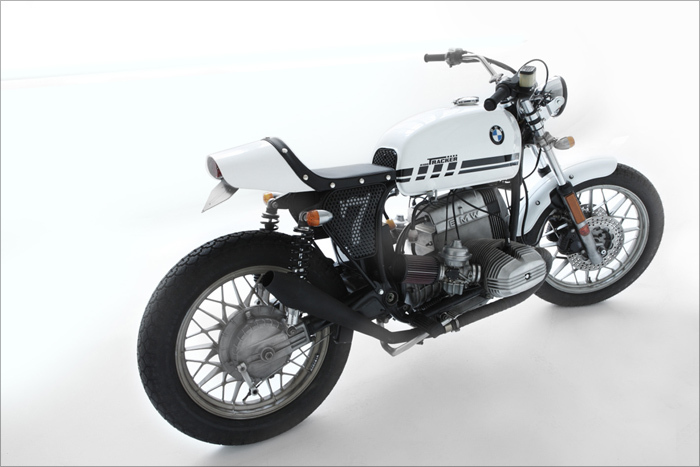 The tank was also replaced with a BMW R90 / 6 one which is much thinner than the stock one. “That gave the bike the look I wanted” he says. He also modified the slope of the combo seat/tank to get a more aggressive line to the bike. He replaced the stock bars with Tomaselli handlebars for that flat track style. 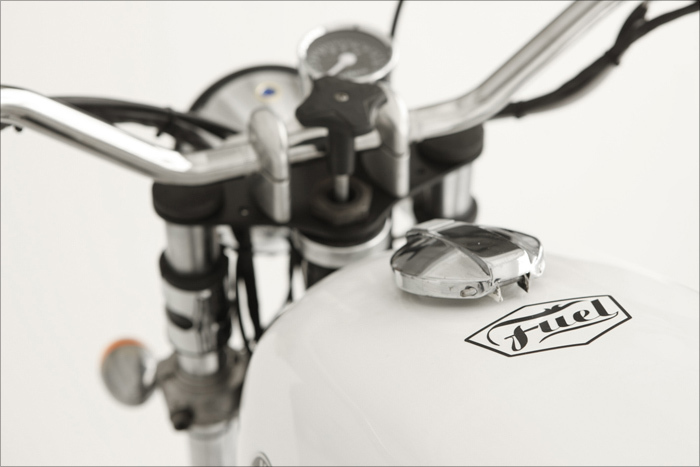 He also replaced the original headlight for a smaller one giving the bike a more well balanced look. The beemer also got two K&N competition filters and the exhaust pipes are handmade – taking the original BMW exhaust and shortening them and then adding the cone-shaped part. Elbow mufflers were also added with a more upright angle to get a racing look. Karles then added new suspension, Dunlop K70 vintage tires, custom plate holder and handmade number plate as well – perforated plate on the outside and fiber board on the inside. The electrics were replaced and hidden with a new narrower gel battery. I can definitely see myself riding this classic tracker across the deserts of Africa, can you? There’s still some spots left on the Scram Africa trip, so if you want a once in a lifetime experience to tell the great grandkids about then contact Karles in a hurry. Check out this video for some further inspiration.